Textures are meant to be viewed above 2000 feet in the case of like 80-90% of the maps. This makes things pretty ugly up close and lack of ground objects multiplies this. OceanM3 suffers from the above (like every other map), but all and all is a really good map. Some improvement in the resolution of the texture and better fauna placement would make this map go from really good, to exactly what maps should look like in VT. The devil is in the details, and this case, the details that are lacking is that the map elevation should more closely correlate with the texture, and the roads, docks, and asphalt/concrete/tarmac areas should be modeled out, not just textures - simultaneously, some of the trees spawn onto roads. Quite a bit, actually. OceanM5 is really, really, really flat. Like, billiards table flat. It makes European Escalation go, "How'd you pull that off?" DesertM12 The tunnel run is awesome, but it's very short, straight, and particularly narrow. A plane like the F-14 will have its wings clip into the walls; could the actual tunnel itself be widened? The rather sudden end, sudden beginning, and lack of detail in pretty much the entire rest of the map really hurts the replayability and use in missions. It would be cool to have it end in a mine or base that expanded beneath the hill and opened up slightly, so that the player can fly through completely. The other side of the hill from the installation/tunnel but the hill the tunnel leads into still feels more interesting than most of the maps. 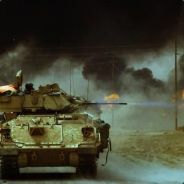 And fairly off topic but related to maps: I had two thoughts, one that a post-release free DLC with high texture maps is an excuse for Steam front page, and two, why not pick some particularly well chosen cities for maps like Ace Combat has done? In particular, I'm thinking about Dubai. Wasn't the tunnel itself pretty long? I recall I saw there's actually a tunnel enterance somewhere on a hill in the lower middle of the map. The dead end up to the second "hole" is like 20% of its total length, I think. If it made for something in vein of XST challenge scenario in mind I doubt the map was designed for pure tunnel flight like the previous "subway" tunnel map. Also +1 for a map resembling Dubai. I don't know why, but I don't really like how LOD seems to work in the current configuration of the engine. I can't put my finger on it, but I don't like how I'll get ships popping in deck-first. There's also the fact that the tiles the game uses seem to be pretty dang big. It feels like anything that would result in better up close results for map detail would probably be more work, either in modeling or in texturing, since a lot of it seems sorta handmade. The rub is that making more detail for textures seems like it'd either be extremely time consuming, require a completely new tool or require some kind of dynamically loading, procedural texture for different LOD that takes cues from some higher level inputs. This is a good opportunity to talk a bit about the maps, currently I’m gathering some materials to work in a new report to talk in depth about this. The main reason I’m taking so much time for the RB campaign is because I’ve decided to make new and improved maps, but while doing this I’m experimenting different techniques and approaches. At the same time I’ve seen some limitations that will be hard to get over, more specifically the ground detail. But there are some solutions that may help to improve the ground detail illusion, like having a higher resolution textures only in the area of interest, more objects and trees. Also I’m using the challenge maps to make variations of the existing maps and experiment different solutions. @Nergal01, the tunnel wasn’t meant for this challenge, the size is too tight to force the regular player to go through it, it more like an Easter egg for more advanced players. @IbizenThoth, I agree with you about the LOD, but that is just how ogre works with it. As for the rest of the maps, currently there is a limit how much love I can give to every map because I have other important matters to work at the same time. But this is something as the game becomes more complete and especially post release, I’ll be able to make more interesting and unique maps. I hope you can work past the issue regarding improving detail. I think, specifically, making roads and tarmac into 3D models instead of just 2D would go a long way for improving detail in the areas of interest we see in most maps. Aside from that, some improved fauna placement and more variable fauna would probably be great, especially if the players can place and remove them effectively. I've mentioned this before, but another thing that would really improve ground quality are a bunch of buildings and other ground objects. Any chance for an urban map? I've been aching for some buildings to fly between and bridges to fly under, hence the Dubai comment in the OP. The problem with urban maps are the buildings can be either part of the map (aka indestructible) or you place those buildings on your own so you can place highrises on whatever map you like or they have to be placed on predefined positions on map (like tents & fuel tanks on some Desert maps) but still destructible. I don't know which path TS will prefer, but I'd suggest the last one. I would probably like both of the last two options; the ability to create the objects individually and the ability to define zones for them to populated. This would probably be great, actually, for a bunch of stuff like trees and so forth that we might place in the editor. The problem with populating an area for a city is that a city is basically buildings built on lots defined by a road system. This basically turns it into a problem of creating a complex road system for the city to stand on, which means that we'd need some kind of L-system/procedural grammars to be part of the solution for defining zones for cities. Granted, there are ways to get around this, but they seem infeasibly complex for the purposes of VT. The best I've hoped for was some kind of brush tool for painting height maps for terrain and defining where trees will grow. This and the use of procedural textures and smaller tile sizes with intermediate and low level LOD levels for both terrain and texture detail would be about what I think the limit would be for VT as far as the moddability of game terrain and maps without access to a modeling program of your own. About water, maybe it's about time to experiment with animated ocean ripples/waves & other water effects. On the serious suggestion side of things, could we get a translucent ground line for the VR map and some lines marking the 10,000m positive and negative? Doesn't need to be a collision object, just a good visual reference so that the player can tell what is up and what is down. 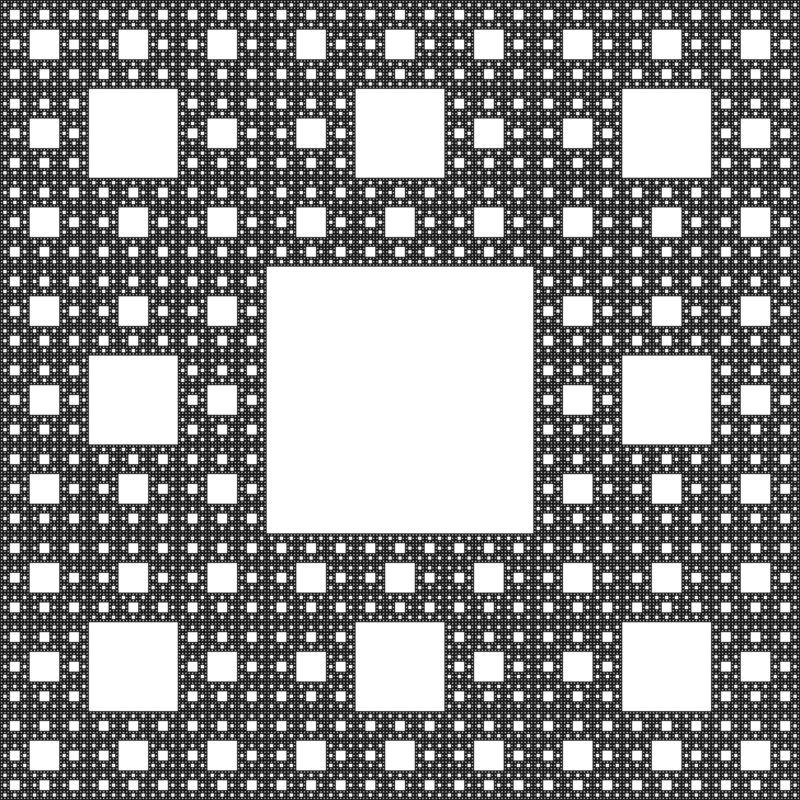 Preferably textured with something like a limited Sierpinski Carpet with different color/tone for each smaller set of squares to allow the player to use as visual cues for distance. Actually, it would be nice if most textures sorta worked on this principle, with similar patterns repeated at multiple scales, but with slight differences to allow the player to better understand their distance from an object. As for brush, Skyrim uses a trick where they only render brush within a couple dozen feet of the player and have it simply rise up from the ground when they come closer. Something like having a large semi-transparent polygon with a topside tree pattern for distant viewing that drops down through the map and is replaced by a larger number of actual trees as the player comes closer would probably be a good idea for allowing the map to support higher densities of foliage. Nergal01 wrote: About water, maybe it's about time to experiment with animated ocean ripples/waves & other water effects. I'm suddenly reminded we have no effects for flying really close to water or sand or anything else. Since this is a cel-shaded game, I'd really love to see some rather exaggerated effects in that regard, liking having a trail of dirt and grass behind you when flying low over a forest. IbizenThoth wrote: As for brush, Skyrim uses a trick where they only render brush within a couple dozen feet of the player and have it simply rise up from the ground when they come closer. Something like having a large semi-transparent polygon with a topside tree pattern for distant viewing that drops down through the map and is replaced by a larger number of actual trees as the player comes closer would probably be a good idea for allowing the map to support higher densities of foliage. Those polygons need to be fully cleaned up and completely not rendered when they appear to not be eating up resources, though, or you'll have something like an ArmA style building: two models, one exists under the other, and when a building is destroyed, the non-destroyed model sinks under the map and is still rendered. As well, I'm not too sure how good a 'coming up' effect is going to work. In Skyrim it makes sense because you're walking around, but in Vector Thrust, we see things from the air. I'm just not too sure how that would look, although as I think about it some more, it's probably not bad or even really noticeable. Seems like the Skyrim effect is fairly simple and is supposed to work well. Especially since you only need vegetation loaded when the player is nearby, which reduces any performance hit by quite a lot. I imagine that having them fill in at different rates, for example, filling in 25% at longer distance and the rest at slightly closer, but still distant enough would allow for some pretty dense forests. What would be nice (and probably a pipe dream) is if the trees were simply alpha values and a grayscale textures that take on the color of the texture it's supposed to sit on. Or ships in general. Are there wakes? I've not really paid that close attention to how ships move considering some of them move like they're on crack. Boogie_Van wrote: Or ships in general. Are there wakes? I've not really paid that close attention to how ships move considering some of them move like they're on crack. Doubt it. Even ships still can pass through grounds. I suggested this a while back but this is a good thread for it but here it is again: city maps with working power grids. Buidings would have "lights on" and "lights off" states (with diffuse and glow maps for each) and if you cut the power the city would go dark buiding by building (radiating from the destroyed power plant like in the movies.) Might need multiple glow maps for the terrain as well, that way the street lights would shut off but car headlights would stay on. Power could also be turned on and off by the mission script or an off map object. IbizenThoth wrote: The problem with populating an area for a city is that a city is basically buildings built on lots defined by a road system. This basically turns it into a problem of creating a complex road system for the city to stand on, which means that we'd need some kind of L-system/procedural grammars to be part of the solution for defining zones for cities. Granted, there are ways to get around this, but they seem infeasibly complex for the purposes of VT. I've suggested modular buildings in the past but you might be able to extend this to modular city blocks. They would have their own roads (probably as a decal so they don't clip through uneven terrain) already laid out and each building would be treated as a sub object with its own health bar. bornloser wrote: I suggested this a while back but this is a good thread for it but here it is again: city maps with working power grids. Buidings would have "lights on" and "lights off" states (with diffuse and glow maps for each) and if you cut the power the city would go dark buiding by building (radiating from the destroyed power plant like in the movies.) Might need multiple glow maps for the terrain as well, that way the street lights would shut off but car headlights would stay on. I can imagine we may also add animated lights on the roads illustrating moving road traffic as well. What are cities like in the VT universe anyway? I read some flavor text in one of the screenshots that made air travel sound like riding a stagecoach through indian country, will cities be like forts? Makes me think of Battleship Island. You could make an entire campaign around a concept like that. Low cost operations alongside smaller island nations that hire mercenaries to patrol their waters, contending with a superpower encroaching on their claims due to the vast undersea resources in the area. Just think, we could have MGS level mercenary nations floating around there. I mean, I've been kicking around the idea of a small ZLTOBAR (zero launch take-off instead of CATOBAR) mercenary aircraft carrier for a while now, so it'd be a perfect fit with that kind of environment! Throw in some nation backed piracy and insurance companies hiring mercenaries for protection of shipping lanes and we've got a scenario that writes itself. And don't forget alien weapons nukes being secretly stashed somewhere underneath the said islands.. ...I suddenly want more island maps.